Thank you for the wonderful presentation at Lakewood library! I think the presentation you and Carol Ann did was very informative and well-organized. I think people especially appreciated the suggestions you had and your explanation of the entire process of putting together a children’s book. I really enjoyed learning about the collaborative process between writer and illustrator and all of the details you have to ponder. If you decide to add to your program, my recommendation would be a separate, follow up program on marketing. Thank you again for the wonderful program and the lovely thank you note! 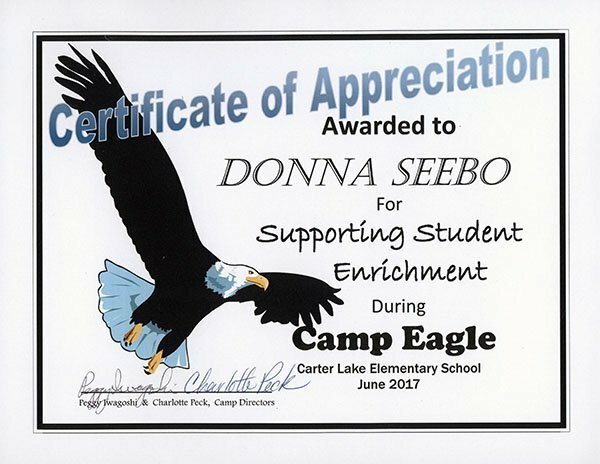 Donna’s student education programs that are committed to the personal empowerment and enrichment for children of all ages are just as important to her as the various adult student lectures and seminars she presents. Her gift of storytelling combined with her experience as a speaker, teacher, author and publisher make her uniquely qualified to inform, guide, motivate, and enrich the lives of young people. Click here for printable image of certificate. You can reach Donna though her contact page if you would like to discuss how she can bring a very special experience to your classroom or youth event. 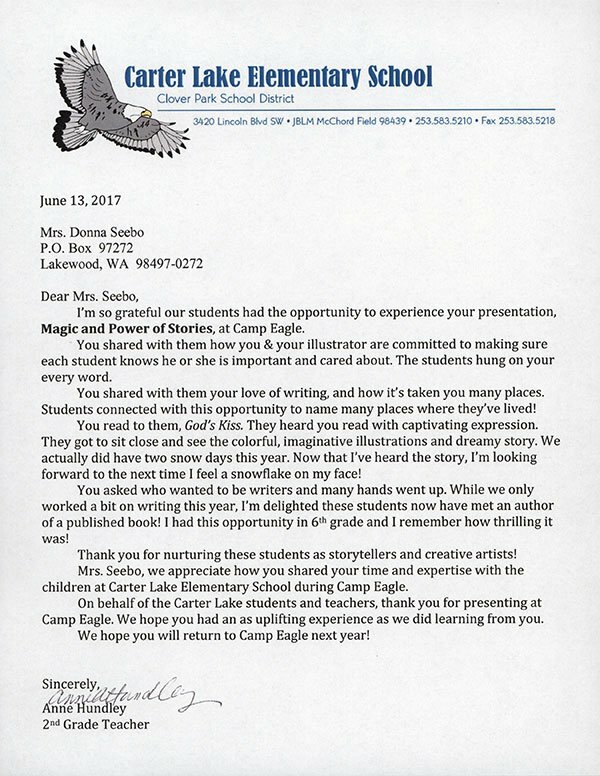 Click here for printable image of letter.